It’s been a tough time for my family recently and I found that books were, as usual, a good way to escape from reality for a while. I really needed a dose of feel-good, heart-warming fiction and this latest in the Hartsford Mysteries by Kirsty Ferry really delivered. It is also, officially, my first Christmas book of the year! 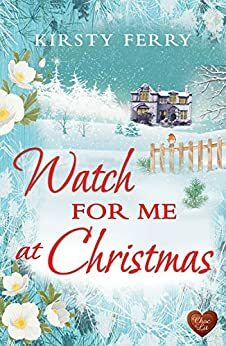 I read Watch for Me by Candlelight earlier this year (you can read my review here) and loved the setting of Hartsford Hall. It was lovely to meet up with some familiar characters from the previous book and find out how they were getting on. As with the previous book I read, this story takes place in the past and the present. In Christmas Present, Tom comes to stay with his sister Kate who runs the local history museum. Emmy is a last minute stand-in providing the mulled wine stall at the village Frost Fayre. There is an immediate attraction between them which seems to be more of a case of recognising each other but how, when they have never met? In Christmas Past, the romance is between Charles and Millie and again, we meet up with characters from the previous books in the series. The Frost Fayre being organised for the village of Hartsford sounded magical, a lovely way to bring a village together. And when the snow started to fall and it became clear that the village was being cut off, well I couldn’t think of a more perfect sounding place to be stuck for a few days. I really enjoyed both strands of the story and love the way Kirsty Ferry blurs the past into the present and vice versa. Characters from one time-frame get a tantalising glimpse of the other and then the reader moves smoothly into that time frame. 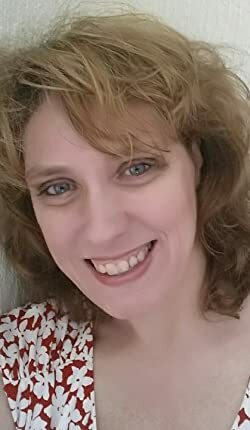 It was such a romantic story, with the idea that soul mates find each other time and again and that we are drawn back to significant places and people. This novella intertwines past and present with snowy weather, a festive atmosphere and romance – a perfect short read as we head towards ‘the most wonderful time of the year’! When Emmy Berry arrives at Hartsford Hall to work at the Frost Fayre she immediately feels at home. Which is odd because she’s never set foot in the place in her life. Then a freak blizzard leaves her stranded and things get even weirder when she bumps into Tom Howard. Tom and Emmy have never met before but neither can ignore the sense that they know each other.